As your trade show approaches, you are probably ramping up your preparations. Orders should be placed for materials and show strategy and goals should be planned. However, just because your strategy has already been developed doesn’t mean your Inbound marketing efforts have to stop. You can continue to use inbound marketing tactics while taking care of your final preparations for the upcoming trade show. As we covered before, the past 6 to 12 months should have been spent developing marketing goals and corresponding strategies for your upcoming trade show. These goals will continue to shape your trade show preparations in the few short months leading up to the actual show date. Since trade shows are basically a version of a marketing campaign, you want to be sure that all of your preparations work towards accomplishing your end goal. Create an editorial and content calendar for posts (blogs, emails, and social media) you will publish leading up to the trade show, during the trade show, and after the trade show. These posts should be created based on the marketing materials you developed during your previous planning. Posting content on your blog or social media announcing your presence at the upcoming trade show. Include educational information about your product or service and entice your contacts to visit your booth by letting them know about your exclusive offers they can receive at the show. Create emails to send to your contact lists to let them know about any exclusive offers you will have at the show. As you schedule these emails to go out at intervals leading up to the show, you could even include special offers just for them or an offer that they can only receive by going to your booth during a specified time frame. You also should begin to develop your posts you will publish during the trade show and after the trade show at this time. While you may not have all the content you need yet (photos from the show, contest winners names, etc. ), you can begin to outline these posts and emails so they will be ready when the time comes. Download our free Content Calendar template here to get started creating your editorial calendar for your trade show! Begin doing run-throughs of all web based materials - landing pages, forms, catalogues, etc. In your development stage, we suggested you come up with landing pages that are specific to your trade show campaign. These should already be built, along with the online forms you need to gain contact information from new leads. Trying these procedures out as if you were a lead filling out the information at the trade show. Trouble shoot all the processes you have developed and look out for any kinks or mishaps. Give yourself enough time to fix anything that might be broken or lead to the wrong place. If possible, try to test these processes out with the equipment you will be using at the trade show (or something similar). This way, you can see how everything looks and feels exactly how your leads will experience it at the show. There’s nothing worse than testing everything out on a desktop computer only to discover it looks completely wrong on a tablet. Ensure this doesn't happen to you by testing your processes on the right devices. Ramp up your employee meetings with all employees who will be attending the trade show. Work through your goals, strategies and tactics for your specific show goal. Discuss how you will implement your strategies at the show to accomplish your goal. Be sure all of your employees have what they need to be successful at the show. To accomplish your SMART goal, every attendee needs to be bought in to the achievement of that goal. Once you have tested and perfected your landing pages and other online material for your upcoming trade show, add this information to social media accounts, blogs, and prominent areas on your website. Include the link to your landing pages in your social media bios so any visitors can visit that page. It is also helpful during the trade show when you’re posting photos from the event with event hashtags and location. Your social profiles will already have your trade show landing page handy and you can easily gain more contacts. Be sure to feature the links to you landing page on your website. If you have visitors to your booth that do not give you their information at the time, they may remember your company later and come back to fill out the form. You may also get site or blog visitors who heard about your company but were not able to attend the show or visit your booth. Give them a chance to receive your offer and give yourself a better chance at gaining a new lead. When scheduling your emails into your editorial calendar in the months prior, plan for an email go out out one month in advance. This email should personally remind your contacts about your attendance at the show. Let them know of your current or new offers you will be giving out at the trade show. Include any links to relevant blog posts to pique their interest about your company, service, or product. If you or any of your employees who are attending the trade show have never participated in an in-person sales event, be sure to plan for time to practice your “speech” with fellow employees. Set up mock trade show booths and role play different scenarios that could occur at the show. Inbound marketing isn’t just published content; you can be an inbound marketer in-person as well, so be sure you are prepared to provide relevant, educational, and valuable information to your booth visitors. Don’t go into your upcoming show cold and not knowing what to say. Practice makes perfect and getting feedback from other team members is important. As your trade show approaches, you should be doing a final run-through of all your processes. Make sure all your materials have arrived and are ready to be transported to the show. This includes printed materials, checklists, goal sheets, and all online materials. 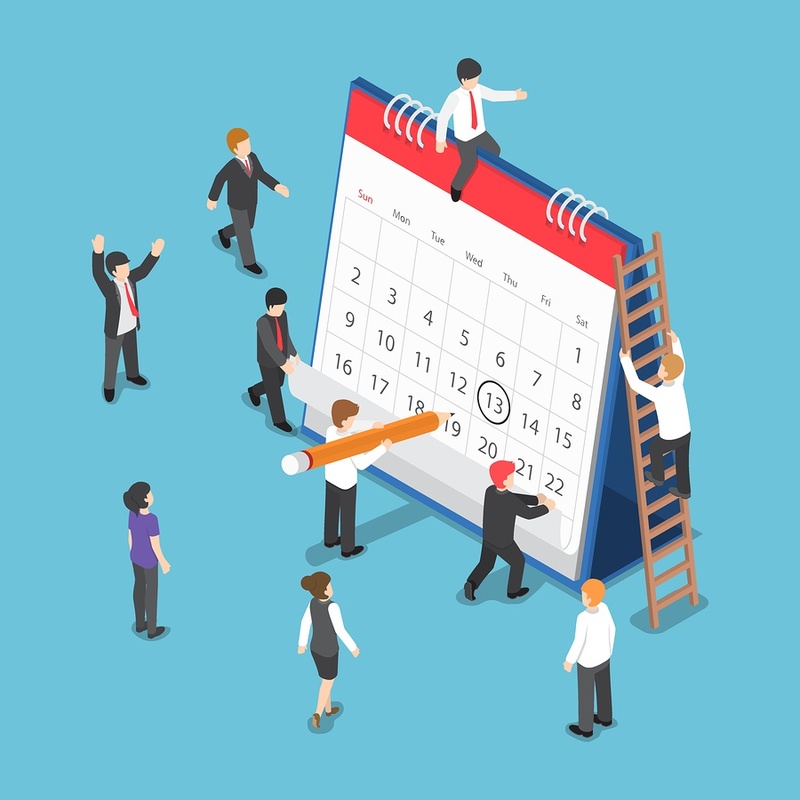 Schedule a final run through with your trade show team. During this meeting, you can hand out goal sheets for the show. Each sheet should have an overall show goal, along with daily and personal goals for each person manning your booth. Use this as a way to get your team on board and on the same page for the entire show. Don’t forget to continue your inbound marketing efforts even during the planning stages for your upcoming trade show. By beginning to market to potential show attendees even before the actual trade show, you will be getting a head start on accomplishing your trade show goal. If you provide these attendees with valuable and relevant information leading up to the show, you will be fresh in their mind and they will search you out to lean more once they are at the show. Once you have attracted your potential leads to your booth, you can use your pre-determined marketing plan and strategy to convert these visitors to new leads during the show. The best way to prep for a trade show is to develop SMART goals to base all your marketing efforts around. Download our free Goal Sheet template to get started creating your own!